The Stoutmen have an unabashed love for traditional pub songs sung in the traditional way – with great spirit and a light in the eye. They portray the old songs of Ireland, Scotland and beyond, in vocal harmony and colorful arrangements. They're likely to tell you a story or two and indulge in a little poetry from time to time as well. But at the heart of it all is timeless, welcoming music that cuts across generations and lights up the celebration, whether it's at a festival, family event or an evening at the pub. You're all invited. So come and share a pint of cheer with The Stoutmen! 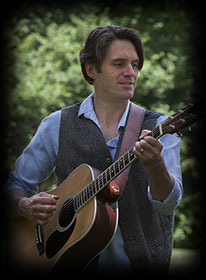 Roy Bartram was raised in the countryside of Owego, New York and his hardworking upbringing is evident in his resounding vocal capacity. If there is a substructure on which The Stoutmen build their big sound, then Roy’s rich tambour and acoustic bass playing are the foundation. Roy is one of the band’s founding members and has been shaking termites out the rafters since the band’s inception. Tim Lynch comes from a big Irish family in Attleboro, MA and has a great love for the old Clancy Brothers and Tommy Makem songs that he heard growing up. He drives the rhythm and dresses-out the band’s sound with the Irish bouzouki and his deft lead guitar playing. Tim also manages the booking and keeps account of the band’s fortune (which he keeps in a baby food jar on the porch). Sean Walsh is a Binghamton native and joined the band in 2002. He tinkers away on a variety of instruments and you’ll often hear him singing on the high parts. Sean is also a playwright and an actor, which probably explains why he talks so much. Fortunately, his penchant for theatrical raving affords some time for the other fellows to refill their beer glasses. Dan Burdick is the newest member of The Stoutmen, entering the line-up in 2014. Before joining the lads, he performed a variety of music styles both as a solo artist and with other bands. 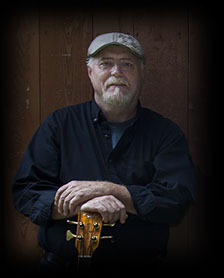 He has added a new dimension to The Stoutmen’s sound with his fiddle playing and low vocal harmony parts. Dan can sing low notes that only planets can hear. The Stoutmen are an Irish folk quartet in the Binghamton area of upstate NY. They've been at it for over 18 years, singing traditional songs in the style of The Clancy Brothers & Tommy Makem, The Dubliners, and The Wolfe Tones. Begun as a musical project among four coworkers, the band started off playing local watering holes for fun, food and beer. 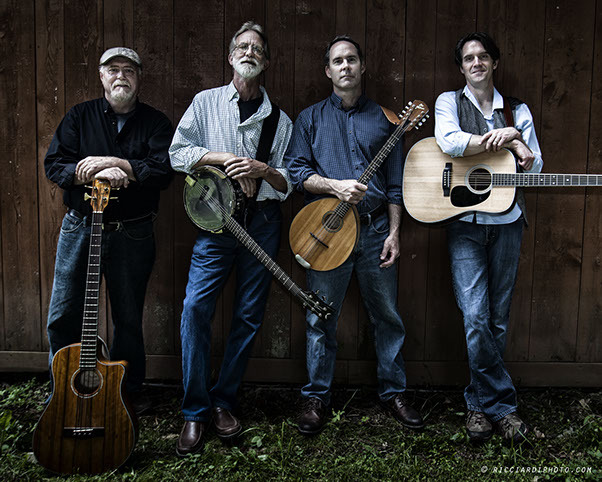 Following the departure of Brad Calbick, who returned to his hometown in Washington State, Tim Lynch (vocal, guitar, bouzouki), Roy Bartram (vocal, bass, pennywhistle) and Bob White (vocal, banjo and 12-string) recorded the band's first CD, Twenty Pints of Wallop (2001). 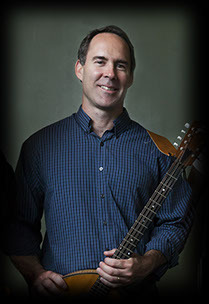 In 2002, Sean Walsh (vocal, guitar, pennywhistle) joined the group and the band recorded its second CD, One More Won't Kill Us (2005). In 2014, Bob White decided to hang up his banjo and spend more time chasing after his grandkids. Fortunately, Dan Burdick (vocal, banjo, guitar, fiddle) was available to step into the lineup and maintain the band's big wall of sound. Over the years, the band's popularity has grown regionally and they've been privileged to play large Irish music venues including The Great American Irish Festival, Tioga Downs Casino, and Turningstone Resort and Casino. The Stoutmen's home field, however, has always been McGirk's Irish Pub in Chenango Bridge, NY - a wonderfully intimate and warmhearted space that pairs perfectly with their music. 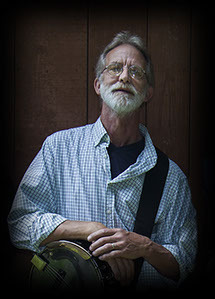 Bob White was one of the original Stoutmen, playing banjo and 12-string guitar. He retired from the band in 2014, but thankfully, still makes appearances from time-to-time. Bob was a Navy serviceman during the folk revival of the 1960s and it was during this time he learned many of the songs that The Stoutmen perform to this day.